These images are just a taste of the amazing work done by this talented 3D artist. 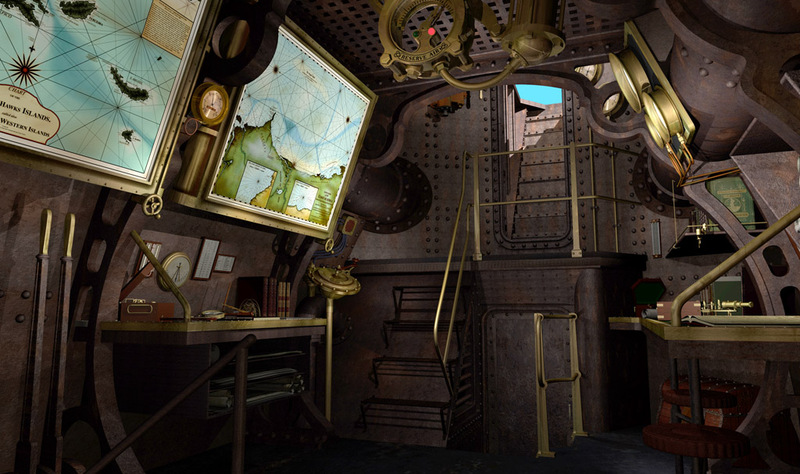 You will be able to explore the Chartroom of the Nautilus as never before with every detail waiting to be discovered. Mr. Decker has included exquisite animations of your favorite details, he’s even made high resolution stereo images of them! This non-profit gift from Mr. Decker.Price will be available again soon.